How Can I Improve My Translation Career? Many would-be translators do not realize how difficult it can be to launch a translation career. Translation not only requires great language skills, but also dedication, marketing, customer service, and networking. Of course, most translators do not start out with a large social network, making it difficult to find work. 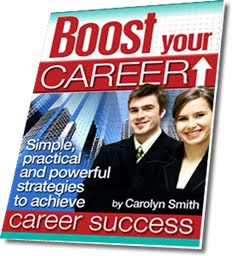 There are several ways to boost your career, however. You can complete a translator certification program, get an advanced degree, specialize, and build a network of clients and other translators. While difficult, translation can be a rewarding career if you are willing to work hard. As a translator, you should always be willing to improve. This might mean taking extra language courses or attending training programs. You should also consider enrolling in a translator certification program. These programs are designed to give translators hands-on experience while providing advanced language instruction. A translation designation such as the Certified Translation Professional (CTP) can also boost your career. You do not need a master’s degree to be a successful translator, but an advanced degree can increase your earning potential and give you access to more jobs. It might seem counter-intuitive, but specializing in one area can significantly boost your career. If you have a specific field in which you are particularly interested, try educating yourself or taking courses in that field. This will allow you to translate texts in that particular industry more accurately. Some common areas of specialization include law, patents, medicine, literature, engineering, finance, software, pharmaceuticals, and environmental science. Specializing can also allow you to work faster as you become more familiar with industry jargon, thereby increasing your earning potential. Clients will also learn to see you as the go-to person for translation in a particular field. Finally, networking and marketing will allow you to find jobs more easily. If you do not have a website, make one. Post your portfolio on your site so that clients can see samples of your work. An online presence will allow you to promote your brand. You should also ask former clients for testimonials if possible. Try to form contacts in the industry as well. You never know when another translator’s advice or support could come in handy. Some freelancers might also send clients your way if they are too busy to take on more work. Eventually, your reputation alone should get you the business you need to be successful. In the beginning, however, be prepared to spend most of your time marketing yourself. Tags: How Can I Improve My Translation Career? Translation Career Improvement, Improving your Translation Career, Tips of Translation Career Improvement, Translation Improvement Tips.